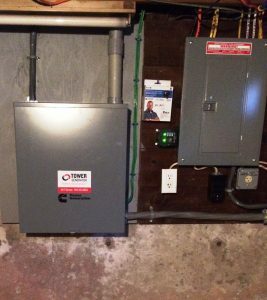 This homeowner had done his research and was looking to put a quality standby power system on site at his 2000 square foot home. He was thinking of a diesel or a propane powered liquid cooled generator. After comparing the two fuel sources he decided to go with propane. He liked the fact that propane can be stored for many years without measurable fuel degradation. He also chose a liquid cooled model as they are more durable than the air cooled. This property is now protected by a highly reliable power system that will provide backup power for many years to come.